Need a place to make a quick buck? Get that extra boost of cash on top of your tax refund? Got gold lying around? Well, you’re in luck! If you ever need a place to sell gold Tempe Pawn and Gold is the place for you! 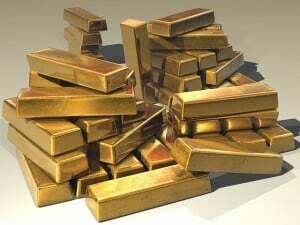 We take all types of gold: Gold Bullion (bars), gold coins, gold nuggets even! Just bring it into our store and we will have our professional staff assess the value of your gold and provide you an offering of cash. If you like the offering, you get paid then and there. Pretty simple. You’re not hassled into any deals; just get in, sell us your gold, get the money, and head out to handle what you need to. We offer different ways to do this too. You can, as described earlier, just to sell us the gold you have and get paid. You can also have us put the gold on a ‘gold loan.’ Even with Gold Loans Tempe Pawn and Gold can assist you in this process. Check out our Gold Loans Tempe page for more information, or just click here. The process of selling your gold is quite simple and quick. Typically, our customers are in and out the store within 10-15 minutes cash in hand. First, we we take your gold bar, gold jewelry, gold ring, or gold coin and test acid test it. Don’t worry, this test is 100% safe, and will not damage or leave any physical trace on your gold whatsoever. Then, we determine whether the carat of your gold is 10kt, 14kt, 20kt, etc. Once we’ve determined the carat, we’ll take a look at our updated list of daily gold prices and agree on a price. From there, only a couple of quick signatures separate you from the cash and the door! No matter how you wish to handle it, everyone now and then needs an extra little pocket money. Simply having the gold in your pocket is great, but it would benefit you more to get some green to match the gold. Tempe Pawn and Gold has helped many customers get the money they need from the gold they own for over ten years. Thus we have been an established place to visit for citizens of Mesa, Chandler, Phoenix, Scottsdale, and beyond. So if you have gold, and need a place to SELL gold Tempe Pawn and Gold will be more than willing to assist you today! At Tempe Pawn and Gold, we do not require appointments previous to your visit. Keep in mind however, that informing us about your gold ahead of time will only allow you to get to your cash sooner!